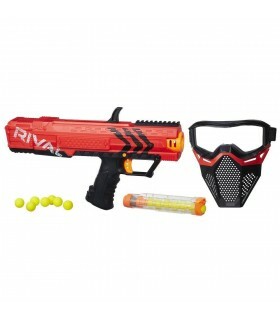 Get started in Nerf Rival battles with this kit that includes the Apollo XV-700 blaster and a Face Mask! The face mask has a breathable design and an adjustable strap. 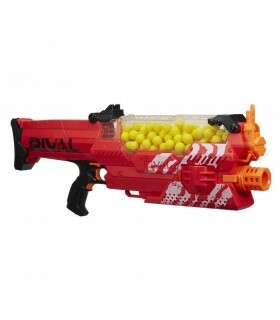 Both the blaster and face mask come in red or blue (each sold separately), so choose a color and go into battle as Team Red or Team Blue.